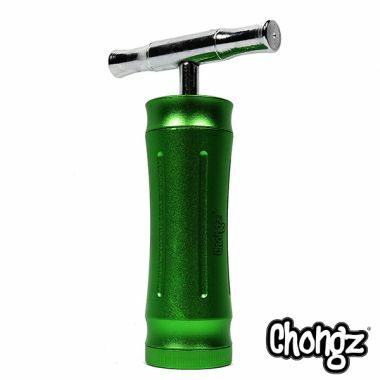 Introducing the 'Mean Green' Pollen Press by Chongz! This beautifully crafted, hard wearing alloy pollen press is very durable and long lasting. Thanks to the built in press puck, you aren't at risk of loosing a piece. Better yet, the Chongz 'Mean Green' comes supplied with a removable piece, ensuring you can remove your pressed pucks out with ease. The press stands at 13cm high, and the press reservoir has a diameter of 20mm.